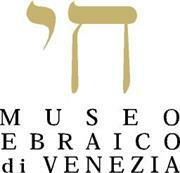 A JOURNEY IN THE HISTORY OF VENETIAN JEWS An active tour to the museum and to one of the Venetian synagogues. For school children and students. The active tour is divided into three parts: first the visit to the museum where students will deepen the history of Jews in Venice inspired by the exhibited objects. Then students thanks to a timeline made for the purpose, will play to connect events and date to rebuild the historical pathway previously performed. The class will end its active tour by visiting one of the Venetian synagogues. to understand and to deepen the history of Jews in Venice; to orientate chronologically by putting the historical event of the history of the Jews in an order. At the end of the workshop the visit to the synagogue will allow the students to get in touch with the main elements of a synagogue and with their meaning and use. The educational activity lasts 1:30 hrs about and costs 4.50 € for each student with a previous booking throughout the school year except on Shabbat and on Jewish festivities. It is performed only in Italian.